"In New Orleans the music still belongs to the people"
“I dedicated my first album to my daughter Jewel,” says Johnson in a recent interview. “When she was a newborn she had an inconsistent sleep schedule [like every newborn]. … So when she would wake up crying in the middle of the night, I would rock her in my arms, pacing up and down the hallway singing to her. One night I sang this simple melody, and then the next day I sang the same melody but embellished it a little. To this writer, “Jewel’s Lullaby” is a tour de force: a stirringly lovely tune that builds to a frantic crescendo-with a superlative piano solo by Courtney Bryan-and then back to placid stillness. 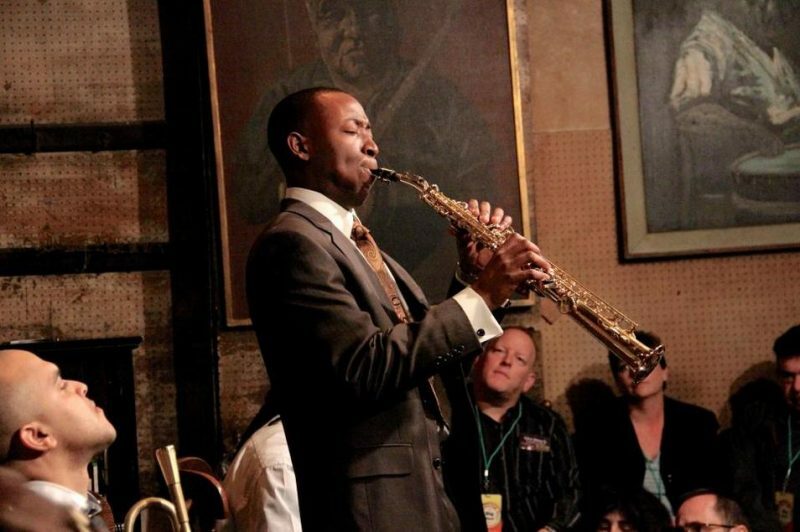 Johnson is the latest musician in a renowned and beloved New Orleans family. “I’m a third generation jazz musician. I’m a child of the music on both sides-my mom’s and dad’s. My family has had jazz, gospel, classical and funk musicians. Everyone played, plays and will play something on varying levels. My older sister is a pianist with a serious formal classical, jazz and gospel background. She only plays as a hobby now but music still oozes out of her fingers. My sister actually learned how to play piano from our maternal grandmother, Alma Lyons, who was the longtime pianist for Sunday school and 9 a.m. service at St. Paul AME in Pigeon Town, New Orleans, where we grew up. My sister literally grew up at our grandmother’s feet, copying and mimicking her playing. “My first clarinet was given to me by my mom; it was her old clarinet from junior and high school which she marched with. My first saxophone was given to me by one of my uncles, Lionel-my dad’s older brother. He gave me the horn in about the third grade and would come over every Saturday to give me my first sax lessons. Now that I reflect on the story, it’s hilarious. My uncle was a saxophonist/flutist who had traveled the world with his horn, playing in smoky nightclubs-and he also smoked cigarettes. So the horn, horn case and mouthpiece all had this eternal tobacco shop smell. And for a kid to bring this horn to school and church … every time I opened the case the classroom, music room, church sanctuary, bedroom, kitchen and any other room that I opened the case in would just be filled with this tinderbox smell. Beside family members, who were Johnson’s most important musical mentors while growing up? “Wow, that’s going to be a long answer!” he says. “For a child growing up in the New Orleans musical scene, there were hundreds of players and all of them were just as good as the next, and all of them took the role of mentor very seriously. So people like Kidd Jordan, Clyde Kerr Jr., Alvin Batiste, Kent Jordan, Chris Severin, Shannon Powell, Jonathan Bloom, Wendell Brunious, Nicholas Payton, Willie Metcalf, Branford Marsalis, Irvin Mayfield, Bob French, George French, Henry Butler and Bill Summers. Musical influences were everywhere. Much of my musical knowledge came from my peers while at NOCCA, the Louis Satchmo Armstrong Jazz Camp, the Jazz and Heritage School of Music and/or on the bandstand: people like Christian Scott, Big Sam of Big Sam’s Funky Nation, Troy Andrews [Trombone Shorty], Sullivan Fortner, Jonathan Batiste, Khris Royal and Dr. Courtney Bryan. What exactly is it like growing up in the Crescent City? Says Johnson: “Growing up in pre-Katrina New Orleans yielded a truly colorful childhood. In New Orleans we refer to our city, culture and weather as ‘the most northern tip of the Caribbean.’ Well, growing up here you develop a love-hate relationship with the city. Because you’re born here, it’s the basis for all you know. But then as you grow, mature and live life, you realize that New Orleans is trapped in the past, which is a gift and a curse. Is there a religious fervor for this music among New Orleans cats? “You are totally right. Actually, most non-musicians recognize the exact same fervor in NOLA musicians, but not in musicians from other parts of America. I believe that in New Orleans the music still belongs to the people; jazz is still the folk music. Music is also intertwined into every aspect of life, customs and culture in New Orleans. We have music at church, weddings, funerals, birthday parties, retirement parties, school assemblies, an unscheduled jam session, school children challenging on their band instruments at the bus stop, etc. “Because music is still an intricate part of NOLA life, New Orleanians still possess an emotional attachment to and with the music. Also in NOLA culture, musicians are our ambassadors and celebrities; they carry the voice of the people of this great city all over the world. Our first ambassador, Louis Armstrong, was the best ambassador jazz ever had. “We have a saying in New Orleans that you usually hear chanted at second line: If you ain’t gon’ dance, get the hell on out the way. That’s a very important sentiment. Remember, jazz was a dancing music. Up until the emergence of bebop, musicians were playing for people to dance. Jazz was born in New Orleans out of places and experiences such as Congo Square, the Red Light District, vaudeville, the whorehouses. In all of these places, music served a different function but still possessed a very clear and distinct purpose. No one ignored the music in these venues; in fact, they relied on the music to help them achieve their purpose, which consisted of being social, making money, getting drunk, etc. 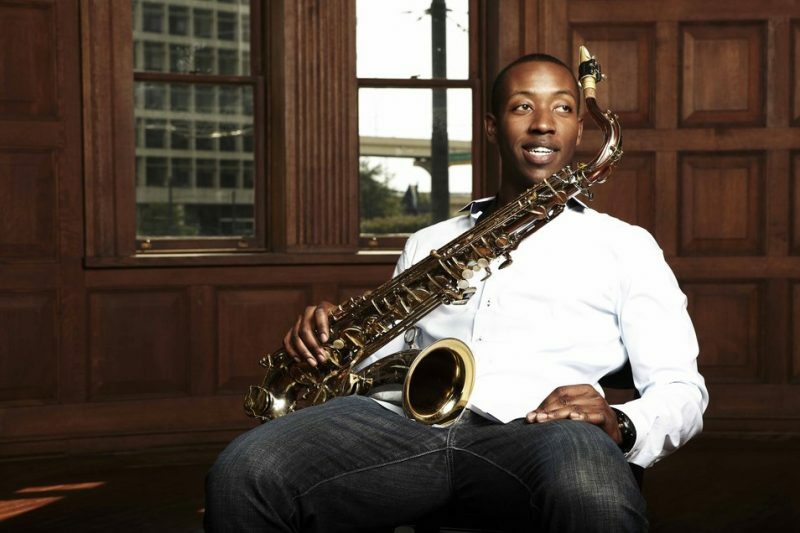 Musician, composer, actor, educator-what is up ahead for the multi-talented Calvin Johnson Jr.? “Well, I’m putting the finishing touches on a new three-year project titled Trad. Trad is a documentary which I co-produced and narrated with James Demaria that tells the story of New Orleans jazz through my eyes via interviews with some of the music’s most respected figures. Immediately following Jazzfest, I will begin working on my third and fourth studio albums. Album number three, which currently is untitled, is a soul-jazz trio album featuring myself, Derrick Freeman on drums and Nigel Hall on organ. This album is going to showcase the composition skills of each of us in the trio, but its guiding sound is Hank Mobley meets Jimmy Smith with the funky, dirty, soulful NOLA drums pushing that beat. My fourth album is going to be the first studio release of a fusion band I’ve been experimenting with for the past two years [named] Chapter Soul.